Kyle is a Florida native and grew up in West Palm Beach. After high school he attended the University of Florida and graduated with a Bachelor of Science in Criminology with an additional focus in Political Science. Kyle went on to receive his J.D. from Florida Coastal School of Law in Jacksonville. During law school he worked at Community Legal Services of Mid-Florida where he assisted with disputes involving special education law for disabled children and the Free and Appropriate Public Education Act, family law and Section 8 housing. Kyle also interned at the Jacksonville Area Legal Aid and volunteered with the FCSL Military Law society. Kyle received top marks in several classes and was on the Dean’s List. After graduating law school Kyle worked as a prosecutor for the 10th Circuit State Attorney’s Office. During his time at the SAO he handled a variety of criminal mattters and tried over thirty jury trials at both the Misdemeanor and Felony levels. 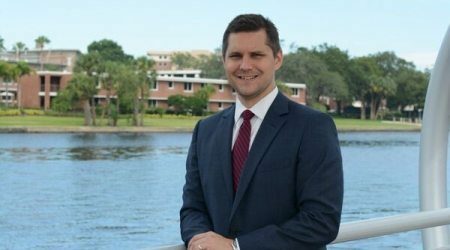 Kyle also spent his time as a member of the Willson American Inns of Court in Lakeland and was the Vice President for the Polk County Young Lawyers Division.